The former FBI director said he would happily appear before the House Judiciary Committee again, but only if it happens publicly. WASHINGTON — Former FBI chief James Comey said Thursday he will resist a subpoena to appear before a congressional committee on Dec. 3 unless that happens publicly because House Republicans will distort anything he says behind closed doors. "I'm still happy to sit in the light and answer all questions," he tweeted. The House Judiciary Committee chairman, Rep. Bob Goodlatte of Virginia, subpoenaed Comey as part of an investigation into FBI decisions made during the 2016 election, when Democrat Hillary Clinton was cleared in a probe into her email use and agents opened an investigation into Donald Trump's campaign and Russia. 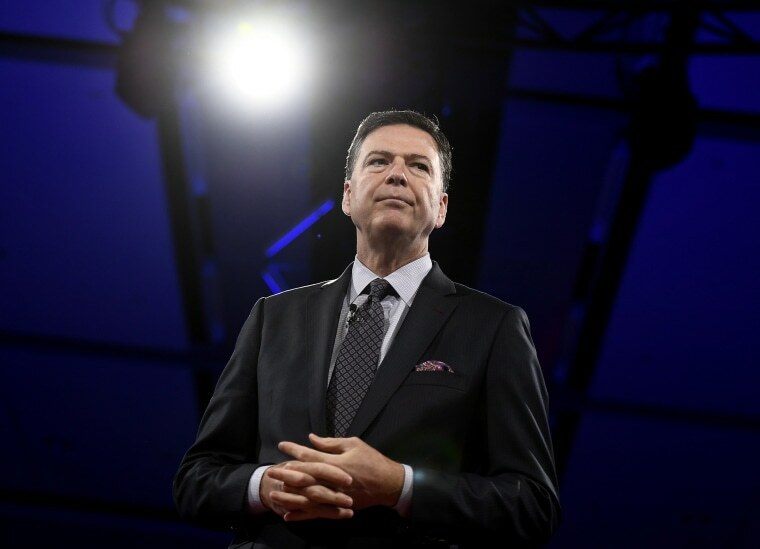 Some Republicans have argued that Justice officials were conspiring against Trump's election when Comey ran the bureau and they have interviewed multiple current and former Justice officials behind closed doors in an effort to prove their point. Democrats say Republicans are trying to discredit special counsel Robert Mueller's Russia investigation before they lose control of the House in January. Comey, who was fired by Trump, tweeted of House Republicans: "I've seen enough of their selective leaking and distortion. Let's have a hearing and invite everyone to see." His lawyer, David Kelley, said in a statement that Comey "will resist in court this abuse of process." In addition to Comey, Goodlatte subpoenaed former U.S. Attorney General Loretta Lynch to appear before the panel on Dec. 4.